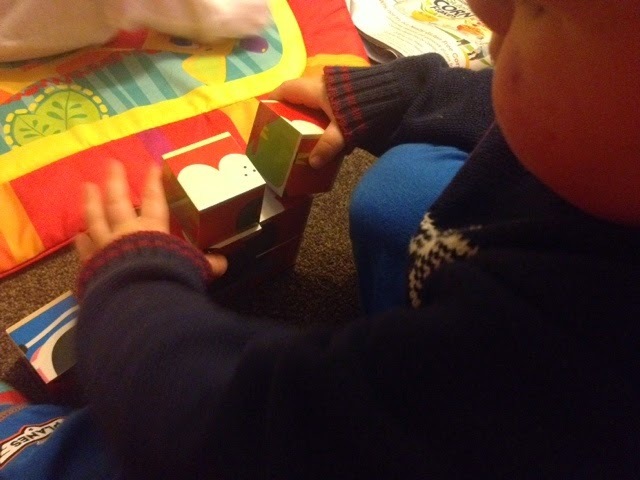 Zach was recently sent the Hape farm animals block puzzle to try out. Zach loves wooden puzzles. He doesn't like anything too fiddly as he gets easily frustrated when he struggles to put anything together. 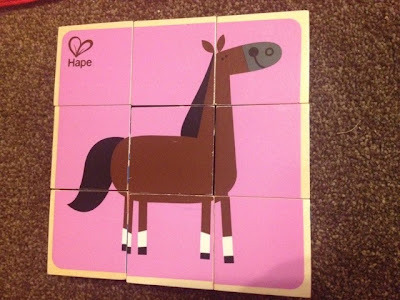 The Hape farm animals block puzzle makes things a lot easier for toddlers. With just 9 blocks to put together it really does keep things simple. However each block has a different piece of a puzzle on each of it's six sides meaning there are six different puzzles to put together. Each of the puzzles is a picture of a well known farm animal and the pictures have different background colours so you can teach your child to look out for the colour coding to help them to create their picture. 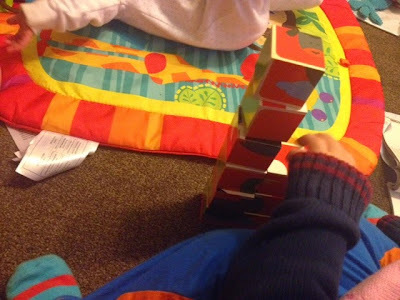 I love how the puzzle incorporates different learning skills such as problem solving (by learning how to put the picture together), they can also help to teach the names of animals and the noises they make (sometimes children take in discussions about these things much better when they are playing), even physical skills are learnt simply by them figuring out how to put it together in place or stacking them upwards to create the picture. Of course it's not all about learning! Blocks are great for building towers and all sorts. 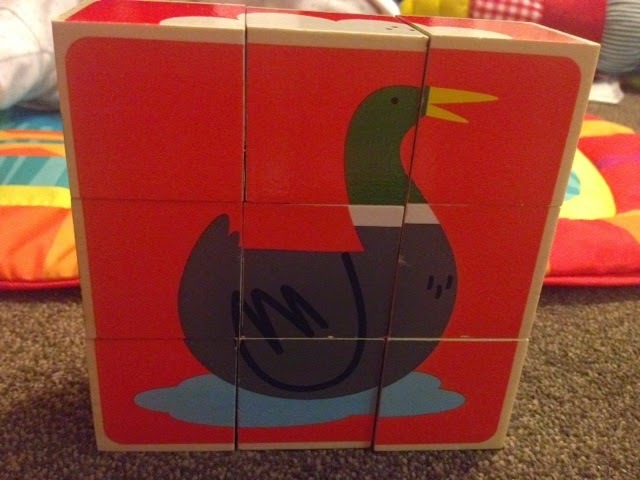 There are many possibilities when using the Hape farm animals block puzzle to have hours of fun either independently or as a family. The Hape farm animals block puzzle has a recommended age of 24 months+ but I would honestly say that it could be used by even younger children. The puzzle is priced at £9.99 on Amazon here making it the perfect stocking filler or gift for Christmas.